Shimmery and magical. 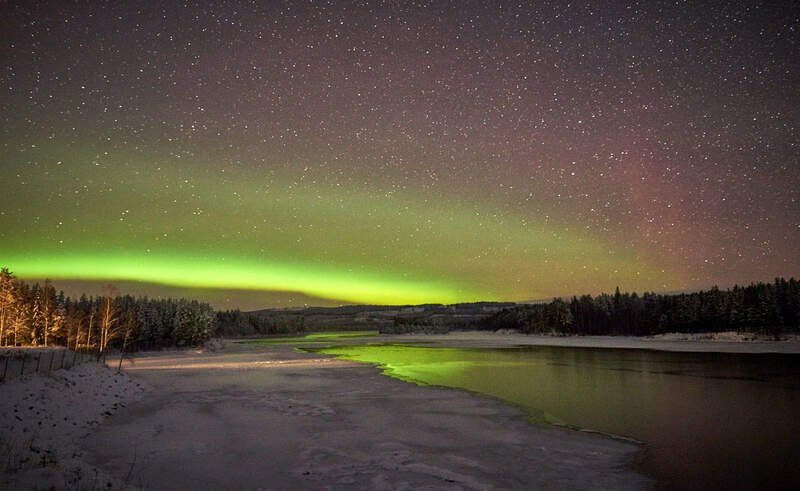 The dance of the Northern Lights is a spectacular sight that we frequently enjoy in Swedish Lapland. Viewing the Aurora Borealis is both a jaw-dropping and mystical experience. But what time of year is the best time to see them? Seen in a ring around the magnetic poles, the Northern Lights are created by electrically charged particles from the sun colliding with gaseous particles in the earth’s atmosphere. The result is a spectacular show of colours from neon green to a fuchsia-purple. Sometimes the Northern Lights looks like a puffy, geometric beam of neon green, while other times, the Aurora Borealis covers most of the sky in an intricate design, with multiple colours bursting out in slow motioned sparkles. 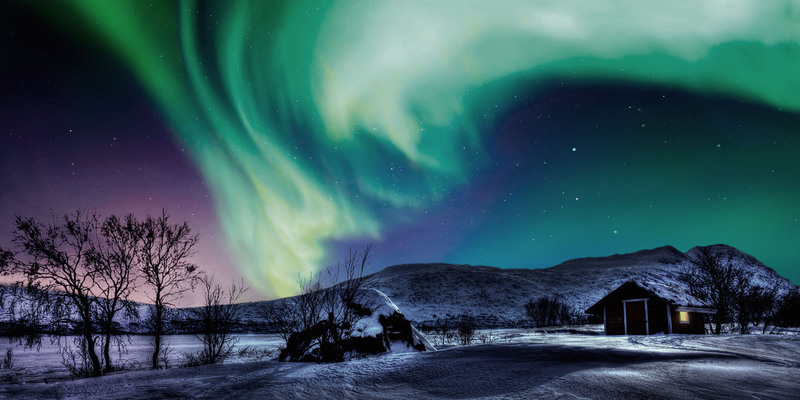 Not unexpectedly, there is a lot of folklore surrounding the Northern Lights. For example, they are called Guovssahasat by the Northern Sámi people, who believed the lights were visitations from the spirits of the dead and a person should be respectful and quiet in their presence. Tradition considers mocking the northern nights or singing about them as dangerous to do, as this could cause sickness, even death. 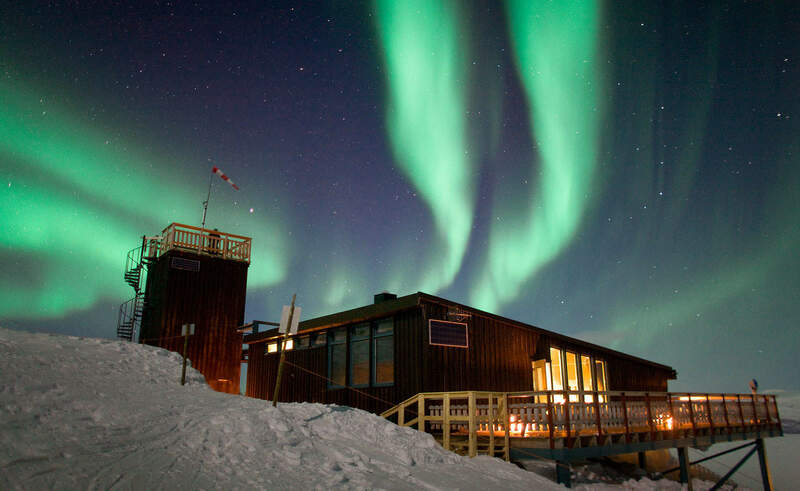 Northern lights in autumn over STF Saltoluokta Mountain Station, on the King's Trail. Photo by Cody Duncan. 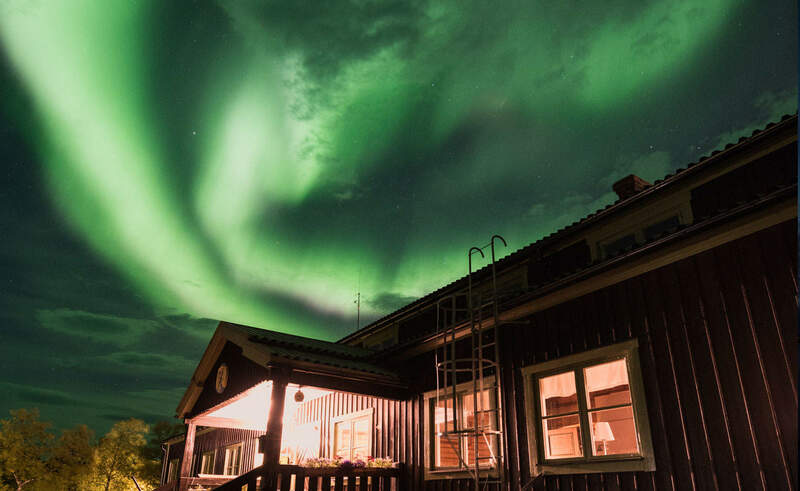 While there is no guarantee that you will see the northern nights, your odds increase when you stay for a longer period of time, get away from street lights and check your chances online with one of the Aurora Forecast apps or through a website such as Space Weather. Some weeks, you are treated to fantastical displays, repeated several times each evening, for many days in a row. Other times, the clouds and snowfall keep the Northern Lights away. 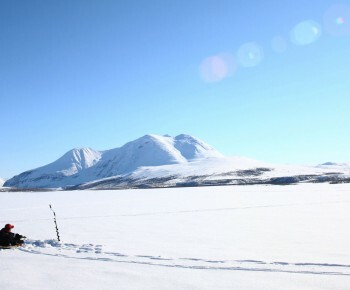 Of course, the longer you stay and experience Swedish Lapland, the better the odds of experiencing this incredible sight. 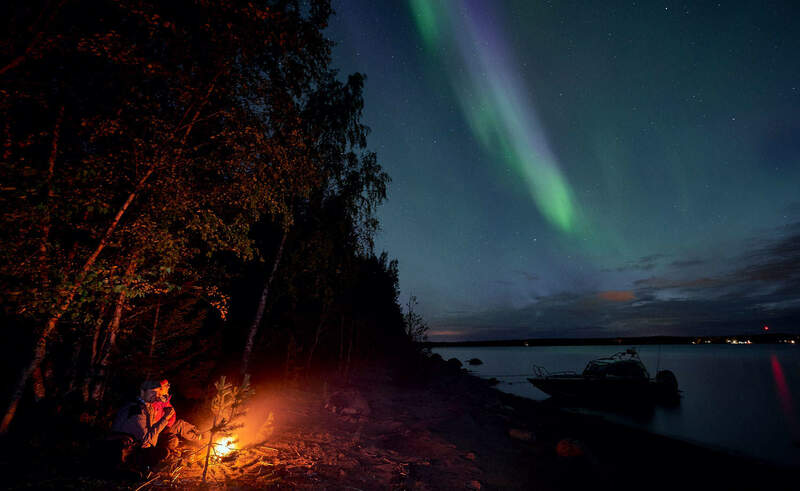 The archipelago in Luleå, northern lights in autumn. Ideally, the best time to view the northern nights is between September and late March, although we have viewed them as early as late-August. The lights can come at any time when it is dark but the best times seem to be between 9 pm and 2 am. The another factor is light pollution of every kind, from street lights to the full moon. And then, the weather can affect viewing the lights. September, October and November have ever increased hours of darkness and the advantage of being snowless in many areas and not yet really cold. For those dreaming of a dramatic white, snowy background, with the Northern Lights dancing overhead, December and January are great times to see the lights. The long nights add to the splendour of this experience. Just outside Jokkmokk in November. In February and March, the days are longer and the weather is warmer, yet still very snowy. During this time of year is my favourite time to see the Northern Lights. During the day, you can enjoy the snow-clad landscapes under the strengthening sunshine, yet in the evening, you get the opportunity to spot the Northern Lights. 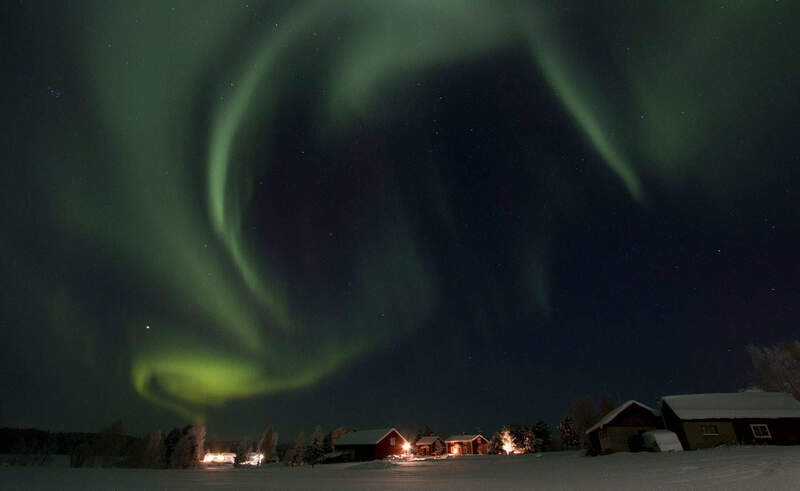 In Luleå – and beyond- for many years in a row, St. Patrick’s Day has been a wonderful night to view the Aurora. It is like the sky is celebrating by wearing green! 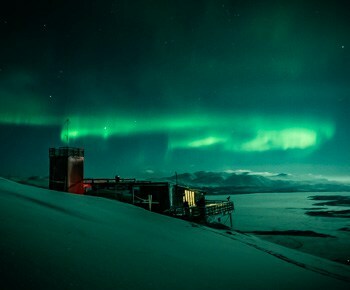 Aurora Sky Station in Abisko. 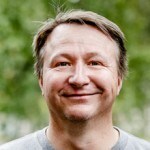 Photo by Peter Rosén. My personal tip when viewing the Northern Lights is to move around a bit. 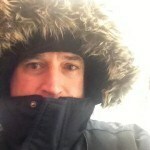 Bundle up in warm clothes and boots and walk around your viewing area. Just moving a little bit can make the big difference of seeing nothing and viewing the lights. Another great way to enjoy the lights is to take a snowmobile ride, horseback ride or go out on a dogsled. 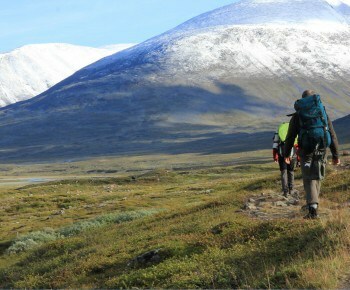 Even if the lights do not make an appearance, you have experienced the incredible beauty and adventure of Swedish Lapland. When you do finally see the Northern Lights, you will never forget that moment. Yet beware: once you see them, you want to see them again and again! 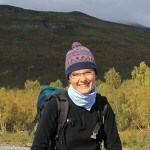 When Agata Mieczko from Italy first heard about the King's Trail, she knew she had to walk it. It turned out be a life-changing experience.